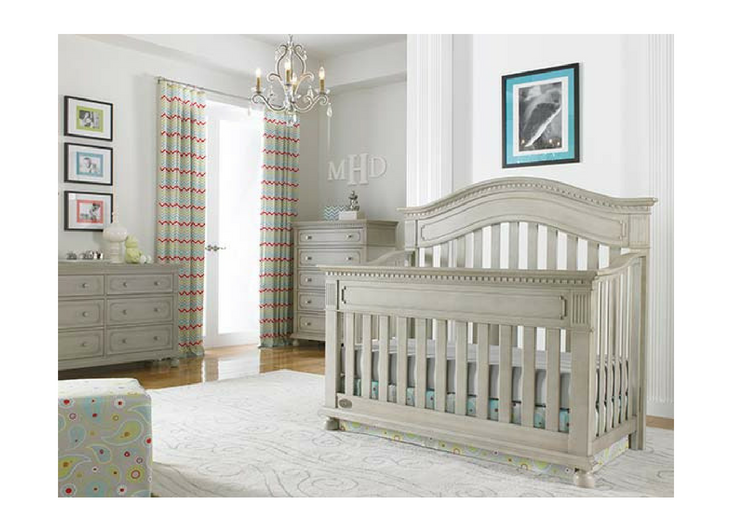 The Naples Convertible Crib features a high arch with a raised half-round molding that also appears on the drawers of the companion pieces, creating a unifying look for your nursery. The bun feet add a lovely contrasting accent to each piece while traditional elements like dentil molding and fluting create an environment that is both timeless and modern. 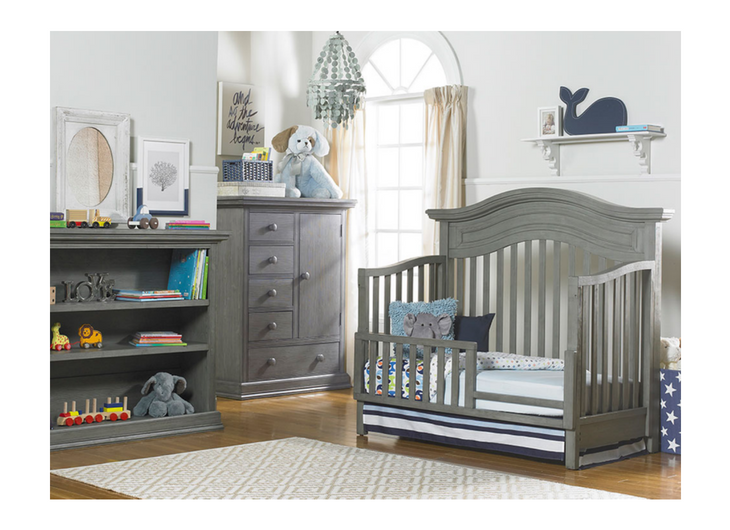 This versatile crib transitions easily with each stage of growth; from crib to toddler and day bed, and finally, a full-size bed. 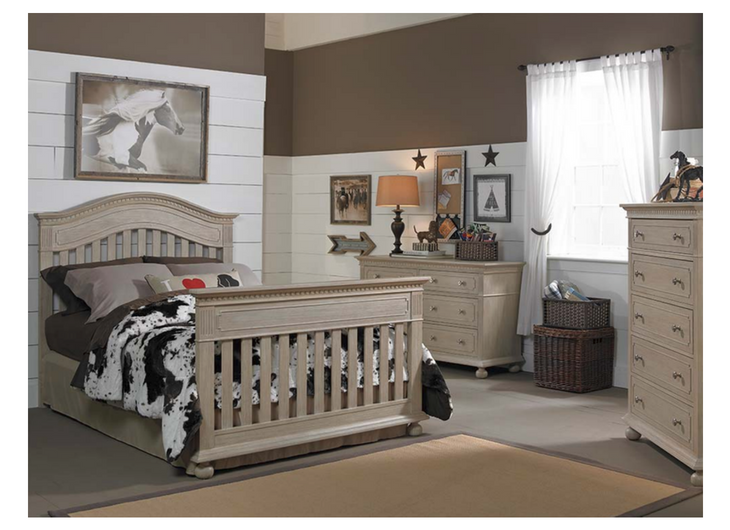 Optional guardrail for toddler bed conversion and Bed Rail Conversion Kit available and sold separately.